The Bay Area dropped out of Realtor.com’s list of the nation’s hottest real estate markets in June — the first time a California metro area was not among the top five markets in six years. The San Francisco-Oakland-Hayward area fell to No. 6 on the monthly list, down from No. 3 in May. Vallejo-Fairfield slipped to seventh place in June, from fifth in May, as more-affordable markets move up the ranks. On average, housing markets with prices below Realtor.com’s national median list price of $299,000 jumped 12 ranking spots year-over-year. June’s ranking shows that super-competitive markets are increasingly scattered throughout the country instead of dotted along the high-priced West Coast. Midland, Texas, was first among the hottest markets, followed by Columbus, Ohio; Boston; Fort Wayne, Indiana; and Boise City, Idaho. 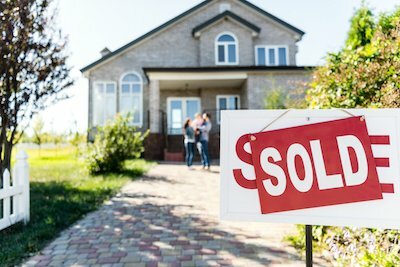 “As the record pace of sales continues to challenge would-be homebuyers, the hottest market rankings show that buyers are looking for markets that offer relative affordability,” said Danielle Hale, chief economist at Realtor.com, in a statement released with the June ranking. San Francisco, Oakland, and San Jose are high on a list of real estate markets on track for housing booms in the near future, according to an analysis of trends by Local Market Monitor, a North Carolina research firm. A boom is likely when a region’s average home price is at least 15 percent above the local “income price” and rising 10 to 15 percent per year, according to a Forbes.com report on the Local Market Monitor data. By that measure, Denver is already in boom territory, with home prices 47 percent above income price and a 10 percent increase year over year. San Francisco isn’t far behind, with prices 29 percent above income price and 8 percent growth. Oakland prices are 23 percent above income price, with 9 percent growth. San Jose prices are 21 percent above income price, with 10 percent growth. The analysis credits strong economic growth and a shortage of housing construction for creating an imbalance that drives a boom. Will rising interest rates — and therefore rising mortgage rates — imperil the nation’s real estate markets? In a word, no, according to Stuart Miller, executive chairman of Miami-based builder Lennar Corp.
“Concerns about rising interest rates and construction costs have been offset by low unemployment and increasing wages,” Miller said recently in a statement announcing financial results for Lennar. He said there is still a “short supply” of houses on the market after “years of underproduction of new homes,” but “demand remained strong” and “affordability remained consistent” thanks to interest rates that remain relatively low. Lenora reported that revenue and profit for the second quarter topped Wall Street forecasts.